Bridging the Gap. Welcome to our collaborative adventure between 8th grade Language Arts students at Auburn Junior High and Mattawan Middle School! It's North meets South. Or South meets North. Whether we say coke or pop, y'all or you guys, tomayto or tomahto, we'll build a communication bridge stretching from Alabama to Michigan. Here's the big question we'll explore together: How do we make and break stereotypes? What assumptions (negative or positive) do people make about others based on where they live? About Southerners? About Northerners? What are some cultural differences between North and South? Why do they exist? What's the difference between a stereotype and a cultural tradition or norm? Do I stereotype other people? Do others stereotype me? So what's the big deal? Which stereotypes and cultural norms about me do I claim and take pride in? Which ones do I reject? How can we use a variety of media to both learn and share our understanding? Throughout the project, we'll be sharing writing and reading experiences, taking surveys, researching, blogging, teleconferencing, reflecting, and creating. Just how will all this help us better understand ourselves and other people? 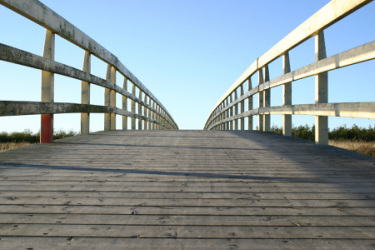 We'll most certainly cross that bridge when we get to it. Auburn Junior High School, Auburn, Alabama, USA. 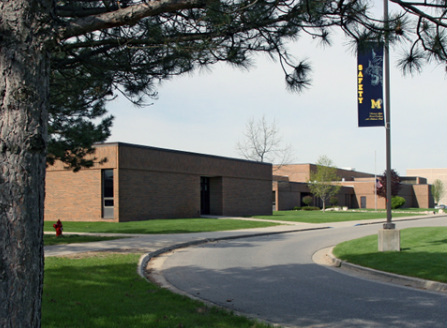 Mattawan Middle School, Mattawan, Michigan, USA.